Between 3000 and 4000 uniforms a day leave the factory of the Fondo Rotatorio de la Policia Nacional, downtown Bogotá. Overall the factory employs 1,200 workers, 90% of them female; but there is more behind the simple production of uniforms. A very high percentage of them are widows or orphans of Police officers who fall during the long confrontation between the Colombian state and the terrorist organisations, and that ended in late 2016. The average age is over 50, and among the small percentage of men the scheme is repeated, orphans, or disabled servicemen wounded in service. 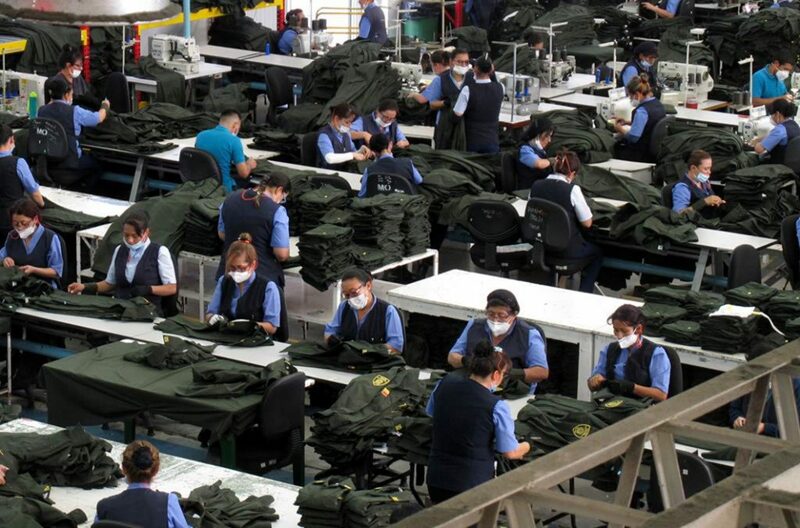 It is a striking view that of the production lines, where the green of the standard security uniform dominates. This is another sign of the post-conflict scenario that characterised today Colombia. “In the past roughly 80% of uniforms produced here were of the tactical type, as the Police main task was countering terrorists, thus carrying out military-type missions”, one of the engineers responsible for production. “Nowadays”, she explains us, also in the management women are in high majority, “the percentage has shifted, as Police is back to its original task”, that is enforcing security in towns and villages and combating crime. 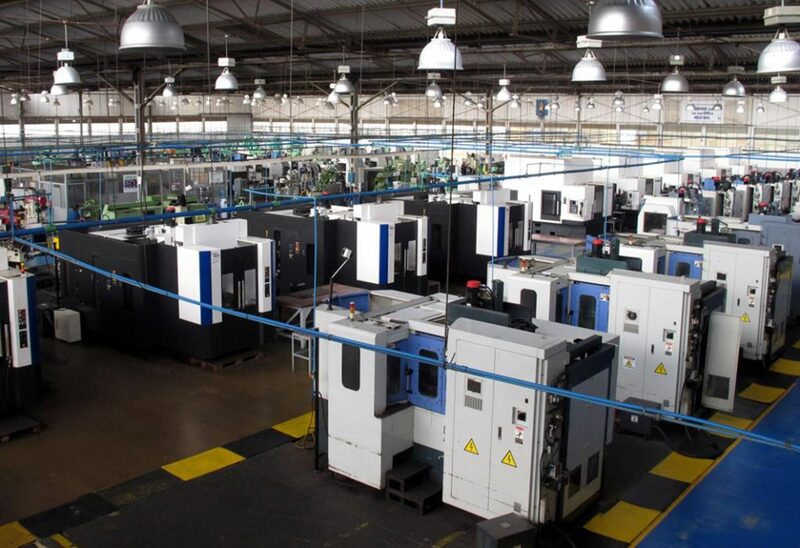 The Fondo Rotatorio factory has recently renewed a high percentage of its production machines, something that shows well the will of improving the production capacity, the factory providing all the uniforms to Police units, with the exception of special uniforms such as those for pilots and special units. The factory has also started working on ballistic vests, and the first one was recently certified. The social aspect can be found also, although not at such extent, in other defence companies belonging to the Ministry of Defence, thus finding wounded servicemen in certain positions is not unusual. The Colombian military-industrial complex shows the clear will of the Bogotá government to be as much as possible self-sufficient in terms of defence equipment, although obviously this cannot be true in all fields. EDR Magazine was invited to attend a press tour in preparation of Expodefensa, the defence exhibition that will take place next 4-6 December in the Corferias premises, in the capital of Colombia. In the intense three days we thus had the opportunity to visit some of the key companies that provide their products and services to the national armed forces, and which are now also trying to propose them to the international market, mostly in the Latin America region. 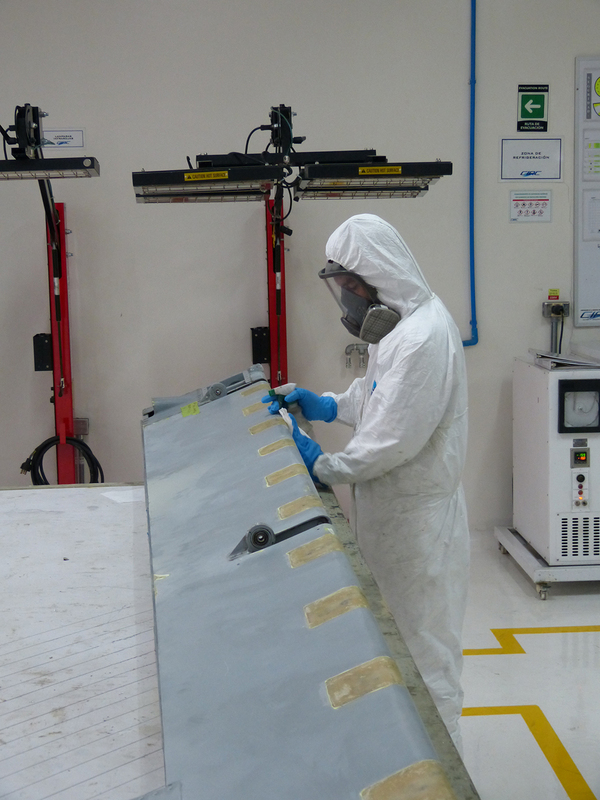 The government-owned Corporación de la Industria Aeronáutica Colombiana SA (CIAC) offers comprehensive aerospace solutions including aircraft and UAV design and production, maintenance, repair and operations (MRO), and simulation training. 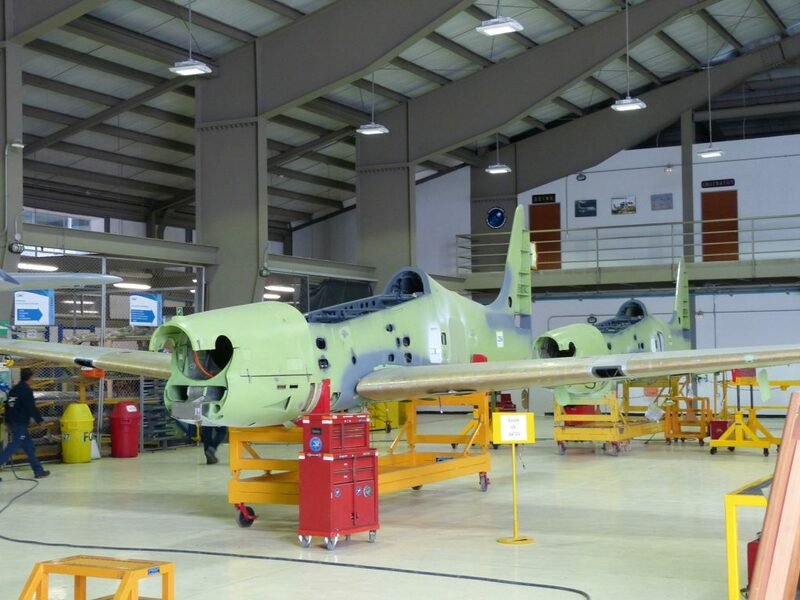 CIAC is certified by Airbus Defence & Space as a MRO Service Center for the Colombian Air Force and Navy’s C-295 and CN-235 transport aircraft a its facility adjacent to Bogota’s International Airport. The Level 3 maintenance includes removal of all access panels for inspection, restoration of floors, the loading system, changing wheels and brakes and propellers, testing all the systems and painting the exterior and interior of the aircraft, a total of 2,400 man-hours over four months. 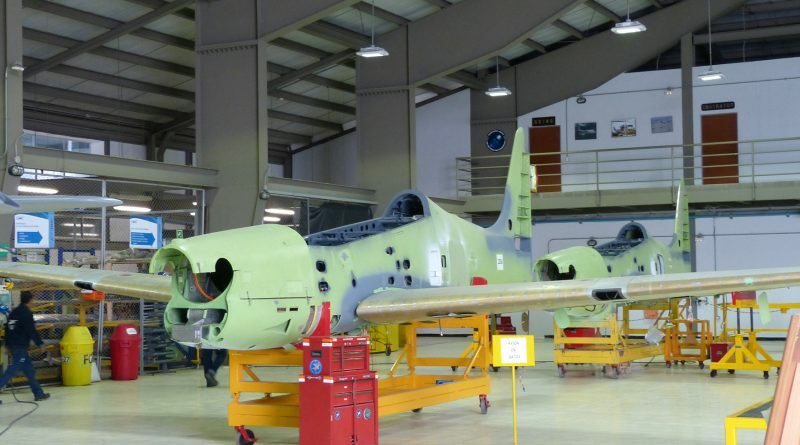 Air Force Embraer AT-27B Super Tucano are also overhauled and repainted at the facility along with civil aircraft belonging to various government agencies. CIAC is also certified by Textron to maintain the Cessna C208 Caravans that are operated by the Colombian Air Force and Army as well as commercial operators. It also repairs composite helicopter blades and aircraft flaps, and develops and produces aircraft ballistic armour in-house. 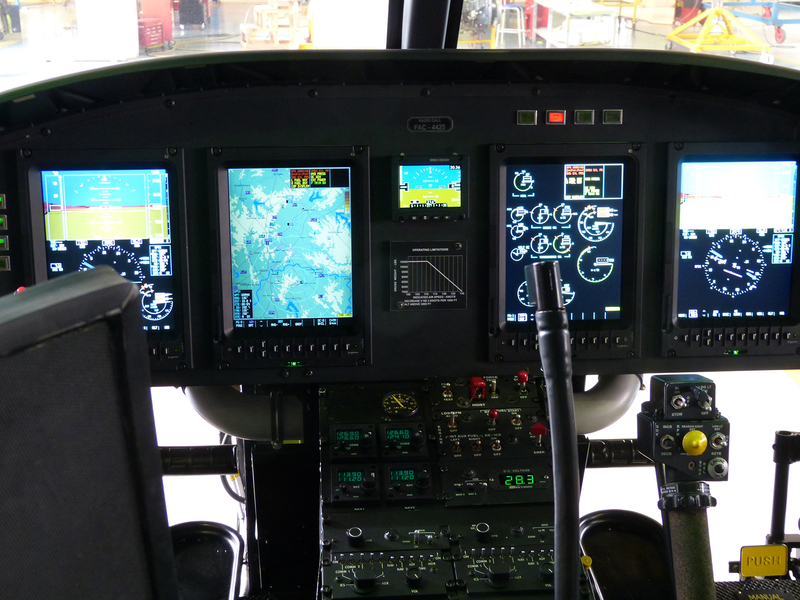 Due to reduced military budgets, CIAC is looking to increase its commercial customers that includes the National Police aviation wing that currently provides 35% of its income. At the Air Force Comando Aéreo de Mantenimiento (CAMAN) at “MY. 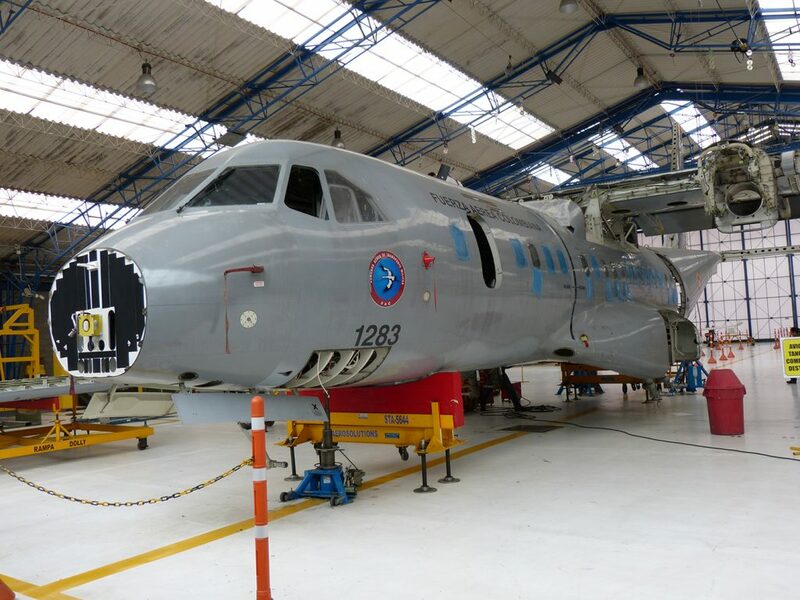 Justino Mariño Cuesto” Airbase at Madrid, CIAC is responsible to carrying out a seven-month programmed depod maintenance (PDM) 130 cycle of the Air Force’s fleet of C-130B/H transport aircraft, at upgrading T-27 Tucano advanced trainers and Bell UH-1H utility helicopters. The air force’s fleet of 14 T-27 Tucano advanced/weapons trainers are being updated with new Cobham avionics, Collins nav/comms systems, a new wing and landing gear supplied by Embraer. The wings are wired for weapons carriage enabling the aircraft to be used for weapons training and a limited light attack role. Eleven aircraft have been completed to date. Fourteen air force Bell UH-1H helicopters are being modernized to Huey II standard that includes a new Honeywell T53 turboshaft engine, uprated transmission, and new avionics. They are also fitted with additional armour and armed with pintle-mounted making guns. The conversion takes some 20,000 man- hours over four months. In 2009 CIAC signed an agreement with Lancair International Inc.for the assembly at Madrid of 25 two-seat Lancair Synergy aircraft as primary trainers for the Colombian Air Force. Powered by 210 hp Lycoming IO-390-A1A6, the carbon fibre T-90s are fitted with Garmin G500 glass cockpit and strengthened landing gear designed by air force engineers. They have flown more than 10,000 hours since the last T-90 was delivered in 2011. CIAC has begun a two-year civil certification of the aircraft which will be offered with more powerful engines and improved landing gear. CIAC is also in the development of unmanned aerial vehicles (UAV). With funding from INDUMIL, Columbia’s state industrial and commercial company, CIAC built the prototype IRIS UAV that was flown in 2010. Resembling the AAI Shadow, the twin boom IRIS has a wingspan of 10m, a length of 7m and is powered by a single 60kW (80 hp) Rotax 912 UL four-cylinder, four-stroke engine. After a 40-hour flight test programme, the IRIS proved overweight and production was abandoned. In March 2016 the Colombian Vice-Minister for Defence received a delegation composed of members of the Spanish Minister for Defence and Airbus Defence & Space to discuss the joint development of a tactical UAV, the Atlante II. A Predator-class medium altitude, long-endurance (MALE) UAV, seven CIAC engineers are working on the project, 70% of which is planned to be manufactured in Colombia. The development of the Atlante II will be subject to the two government’s support and an agreement is expected by March 2018. The Colombian Air Force has a requirement for 30 Atlante IIs to replace the Boeing ScanEagle TUAV. Small arms and ammunition production is carried out at Indumil, for Industria Militar, located in Sibaté, some 25 km south-west of Bogotá. The issue rifles in the Colombian Armed Forces are the local version of the Israeli Galil and of the Galil ACE, in the 5.56×45 mm calibre, produced under license following an agreement signed in 1995 with then Israel Military Industries weapons division, now Israel Weapons Industries. Indumil production reached a peak of 35,000 rifles in 2011, the factory working on three shifts to cope with that production rate. Looking at the production line, the business seems definitely less intense. While for national rifles the company received the barrels from outside, Indumil is the main IWI subcontractor and produces key rifle components for the Tel Aviv-based weapons company: many of the bolts, bolt carriers, receivers and stocks that contribute to IWI production come from Sibaté. The Colombian arms company is also ready to produce the Negev machine gun, but this is not part of the national army shopping list, therefore activities are on hold. Thanks to the expertise acquired in production under license in 2010 a group of engineers proposed to the management to launch the development of a handgun. 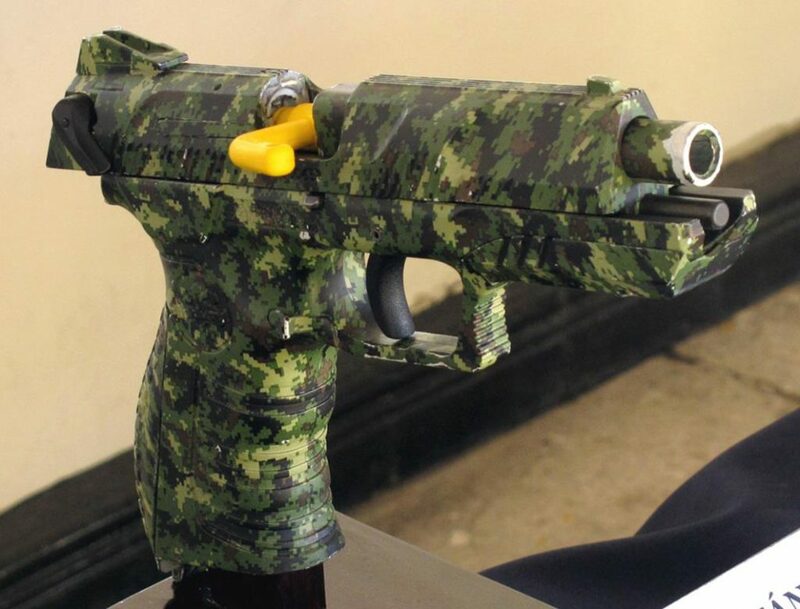 Once the green light obtained the work started and in 2016 Indumil unveiled the Córdova semi-automatic pistol, which takes its name from General José Maria Córdova, the factory of Sibaté also carrying his name. This semi-automatic pistol in 9×19 mm is available in two versions, standard and tactical, and in the first two years bagged orders for over 3,500 weapons, mostly from special units within the Colombian military, but also from over 20 security companies. 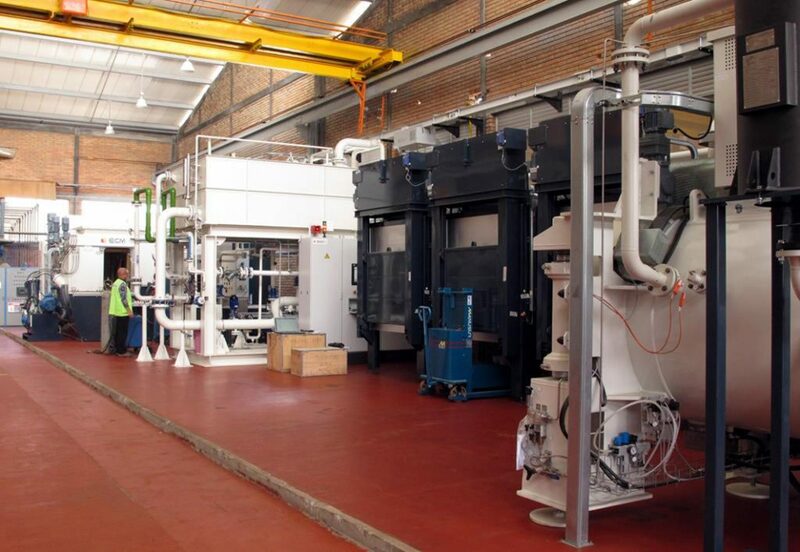 Notwithstanding current production reductions, Indumil remains however committed to its small arms production role, and the investment of 3 million US$ in a new thermal treatment facility comprising five distinct ovens shows it well. As for ammunition, here too budget cuts and reduced confrontation have led to a lower output. The factory main ammunition production is in 5.56×45 mm, 7.62×51 mm and 9×19 mm calibres. “In 2016 we worked on three shifts for 12 months, while this year working two shifts production was finished in late August,” one of the managers tells EDR Magazine. Tools for manufacturing 12.7×99 mm rounds are visible in the factory, but remain unused, as this calibre is not much employed by the military. Looking ahead Indumil is close to sign an agreement with PolyCase Ammunition in the us for the production of polymer ball rounds, while less-than-lethal ammunition are another field of potential developments. Beside military and police production, including shotguns and grenade launchers, Indumil also produces small arms and ammunition for the civilian market. However compared to the past, when Indumil was a “weapons heavy” company, it is now turning into an “explosive heavy” one, thanks mostly to the new construction works that are being started following the peace agreement with the FARC. Explosive for civil use will become key for the numerous tunnels that will allow for the construction of a motorway network in the country. In fact the civil production at Indumil “Fabrica de Explosivo Antonio Ricaurte”, based in Soacha, at the south-west limit of Bogotá, has always been higher than the military one, the latter being mostly dedicated to mortar ammunition as well as aircraft bombs. But the spread is increasing, current overall production being over 280 tons per year. Indumil expertise in the explosive business led the company to cooperate with NGOs tasked for clearing the country by the numerous explosive devices, most of them improvised, that litter the regions were the confrontation with the rebels was more intense. In 2016 Colombian president Juan Manuel Santos has pledged that 21 million m 2 of Colombian territory is to be de-mined within four years. This huge task is being led by the Colombian Army which activated a de-mining brigade on 6 August 2016 to remove and destroy antipersonnel mines, improvised explosive devices (IED), and unexploded ammunition that have killed more than 11,500 people, 60% military personnel and 40% civilians. The objective is to have 10,000 troops eventually dedicated to humanitarian de-mining. At the same time the HALO Trust, the world’s largest humanitarian mine clearance organization which saves lives and restore communities threatened by landmines and other weapons of war, such as cluster bombs, stockpiles of small arms and improvised explosive devices (IEDs). It now have over 7,500 staff in 19 countries and territories, working to get vulnerable communities back on their feet following conflict. The HALO Trust set up an office in Colombia in 2009 and began clearance operations in September 2013 and is currently operating in Antioquia, the department with the highest number of mine victims, Meta and Tolima. The recent assignment of additional tasks by DAICMA, the Colombian National Mine Action Authority, will allow HALO to begin new operations in the departments of Cauca, Valle del Cauca and Putumayo. 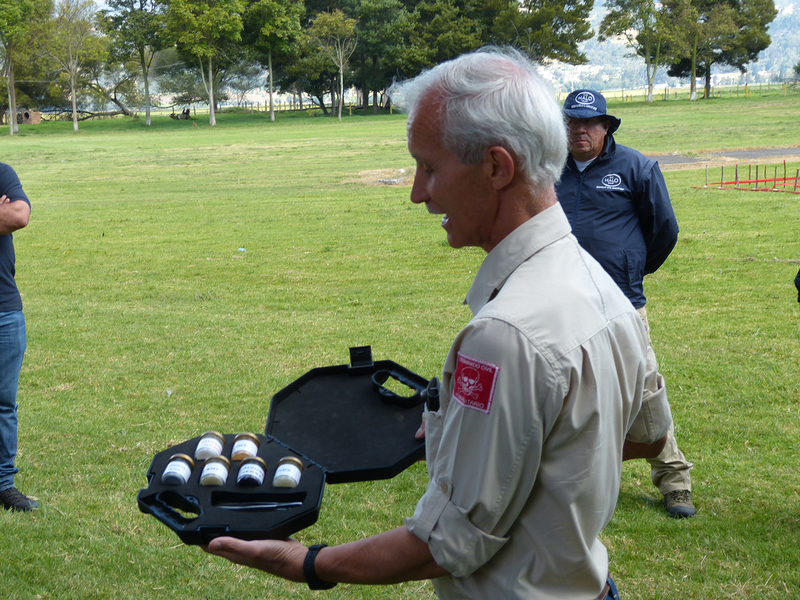 By the end of 2016, HALO Colombia had cleared a total of 86 minefields safely destroying 279 mines in the process. Additionally, HALO’s survey teams have cancelled 269 suspected hazardous areas from the national database, which can now be declared safe for land restitution, IDP return and resettlement, and development. HALO Colombia’s Programme Manager, Chris Ince, a former British Defence Attache to Colombia, has a team of 450 working with him, including two non-technical survey teams, four manual mine clearance teams, and four mine detection dog teams. 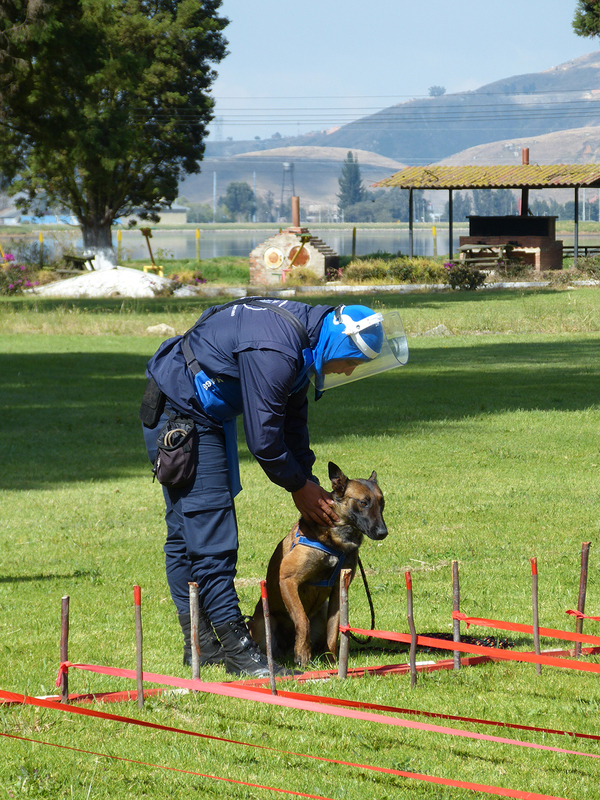 The dogs selected for mine detection are young German Alsatians and Belgian Malinois which are trained to detect up to six different types of explosive materials used in landmines and IEDs. Samples of these materials have been supplied by Indumil and a few grams is all that is needed for the dogs to detect, often working in overgrown jungle or dry sandy environments. They can cover 30 times more territory than a man with a hand-held detector, and with their small footprint and light weight, are less likely to detonate an explosive device. On detecting a device, the dogs is trained to stop, sit and point at the spot, until its handler approaches. The dogs are rewarded by playing with rubber balls thrown by the handler, some of whom have lost limbs from mines or IEDs. 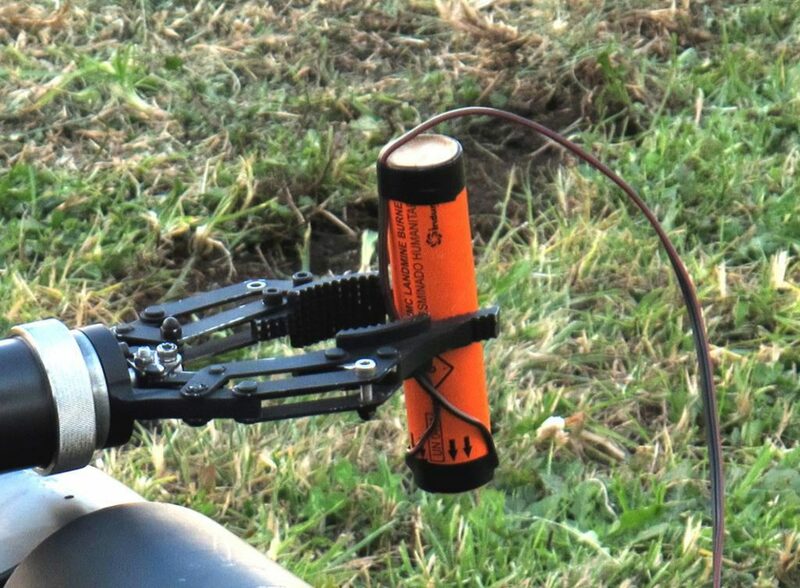 Remaining in the IED and mine clearance field, Indumil developed a neutralisation flare, the IMC Landmine Burner, that allows to neutralise a mine without generating a major explosion. The charge is provided in a cardboard cylinder 150 mm long and with a 34 mm diameter, weighing 150 grams. This is located 5 – 10 cm from the charge to be neutralised and generates a 20 cm long flame burning at 1,300°C and lasting three minutes; this burns through the charge casing and consumes the inside explosive through a low grade deflagration, without detonating it, the only explosion being that of the detonator. 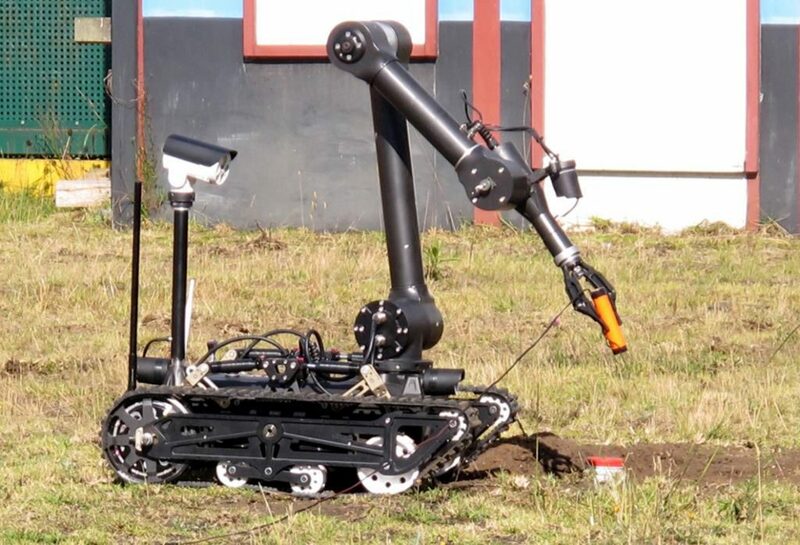 A demonstration of this system was carried out, using an Indumil developed UGV fitted with a five degrees of freedom arm and four cameras that deployed the burner close to a makeshift IED; developed in the Santa Barbara factory at Sogamoso, the metal-mechanical arm of Indumil, 160 km north-east of Bogotá, weighing 83 kg with the arm, 60 kg without it, and capable to reach 10 km/h with a two hours endurance, its electronic was all developed in-house and its data link allows to guide from a tablet up to 100 meters distance. Most of the demining business at Indumil is supported by survived victims who advise the company managers, putting to fruition their strong desire to help in reducing casualties now that the confrontation is finished and the Colombian government decided to clear the country of the remnants of the war by 2021. 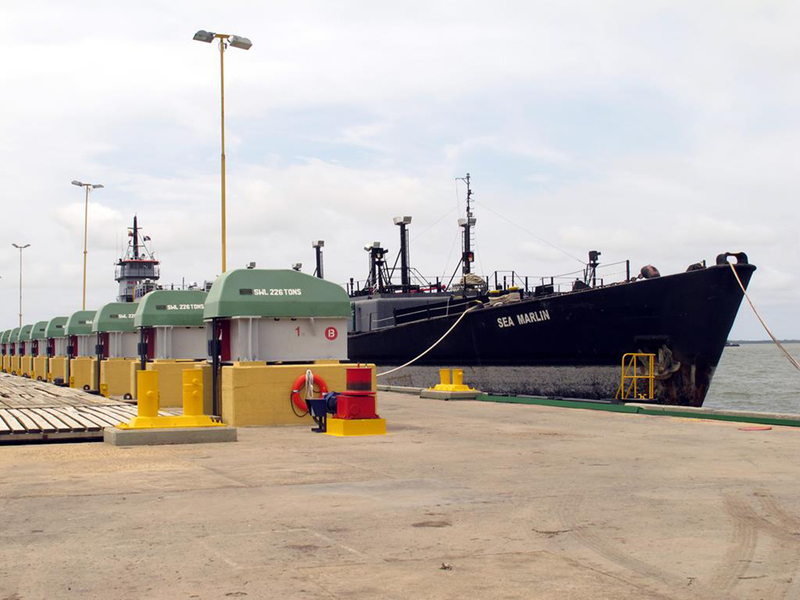 The Corporación de Ciencia y Tecnología para el Desarrollo de la Industria Naval Marítima y Fluvial, Cotecmar in short, is the Columbian provider of vessels to the Colombian Navy, which owns the company at 98%, the remaining shares being in the hands of three Colombian Universities. 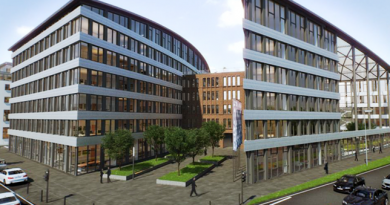 This makes Cotecmar a science and technology corporation, innovation being a key element in the company mission. With over 2,900 km of coasts on both the Atlantic and Pacific oceans Colombia has to ensure safe transit along its coasts, considering the increasing traffics foreseen in the future: Oil & Gas industry as well as tourism are growing sectors, while new trade agreements with many international partners, the USA and South Korea among others, are being finalised, while the expansion of the Panama Canal will definitely change the dynamics of the sea lanes of communication in the Caribbean. The Colombian Navy is thus involved in a plan that will transform it into a medium force capable of regional projection within 2030. Based in Cartagena de Indias, some 650 km north of Bogotá, the company has two production facilities, one in Bocagrande while the main one is in Mamonal, where we were hosted and given an insight on current and future shipyard activities. During our visit one of the three Nariño corvettes delivered in 2014 by South Korea to Colombia as part of “Plan Orion 2” was undergoing a deep maintenance programme, which included improvements to its propulsion plant. The corvette was lifted thanks to the shipyard syncrolift able to move ship of 3,600 ton, 120 meters long, a beam of up to 20 meters and a 6 meters draft. Some other units were moored alongside the main pier, some of them merchant as some 20% of Cotecmar turnaround comes from commercial customers. 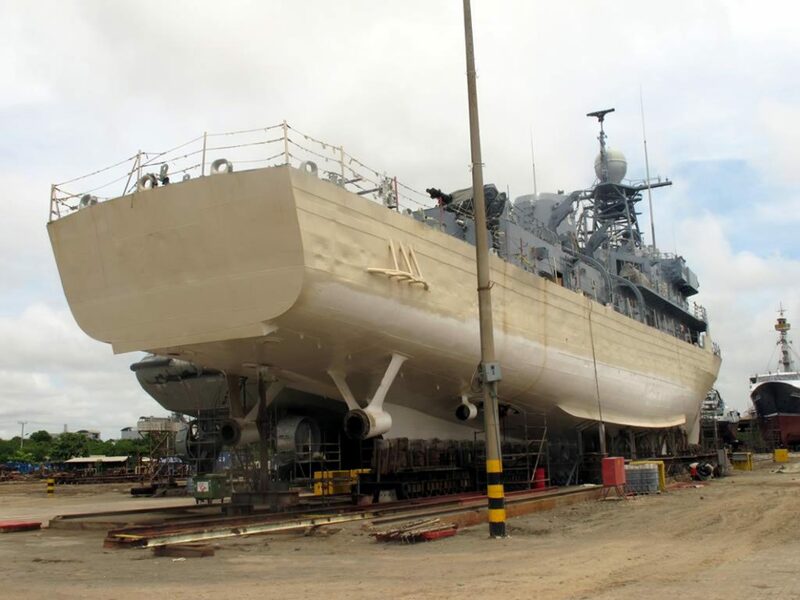 In the production facilities we could see a 575 ton BAL-C (Buque de Apoyo Logístico y Cabotaje, for logistic support and cabotage ship) in the very final stage of construction, as it was launched four days later; its FNH-1611 (Fuerza Naval de Honduras) pennant number clearly indicated the customer, while one week prior to EDR visit Cotecmar started cutting steel for the fifth Colombian ship of that same type. Honduras is definitely not the only Latin American country for which Cotecmar produced naval ship: among the Colombian shipyard customers we also find Guatemala, Costa Rica, Panama, Bolivia and Paraguay, that acquired blue water ship up for Offshore Patrol Vessels. 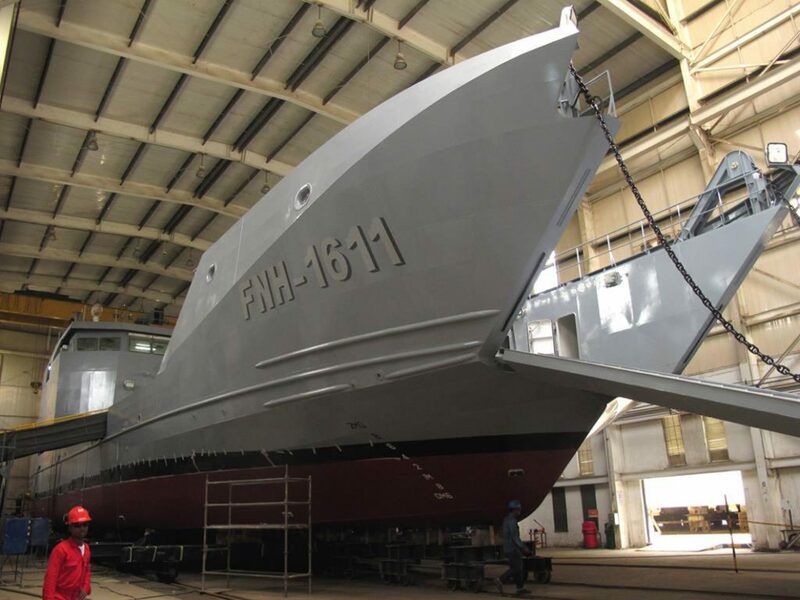 Cotecmar also sold to Brazil the licences to produce its PAF-P, PAF-L and LPR riverine boats, and to South Korea those of it Coastal Patrol Vessel. Beside surface ship, the Mamonal facility is also equipped with a hangar capable of hosting submarines up to 89 meters long. The BAL-C logistic ship under construction for Honduras was nearly ready to be launched during the EDR visit to Cotecmar. 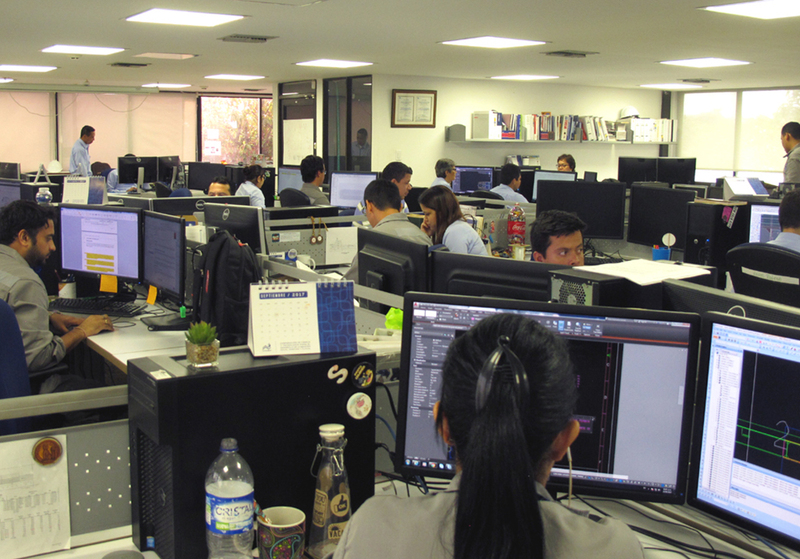 New projects could be seen on the screens of the design office, where over 50 young engineers work on the various elements that constitute a naval vessel. 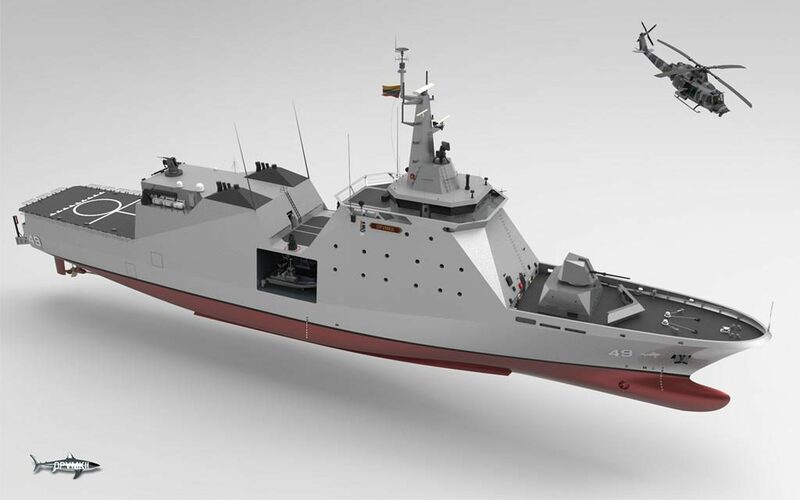 Cotecmar is currently working on the OPV MkII, a wholly Colombian design, which contractual design should be available in 2018, steel cutting starting one year later, commissioning being scheduled for 2022. A 2,550 ton ship, 93 meters long, with a 14.2 meters beam and a 4.1 meters draft, it will feature stealth solutions, will have a deck with a 360° visibility, and a flight deck capable to accept a medium helicopter, with hangar capability. It will be powered by a CODELOD (Combined Electric Or Diesel) or a hybrid propulsion system, and will also feature a bow thrusters for ease of manoeuvre. 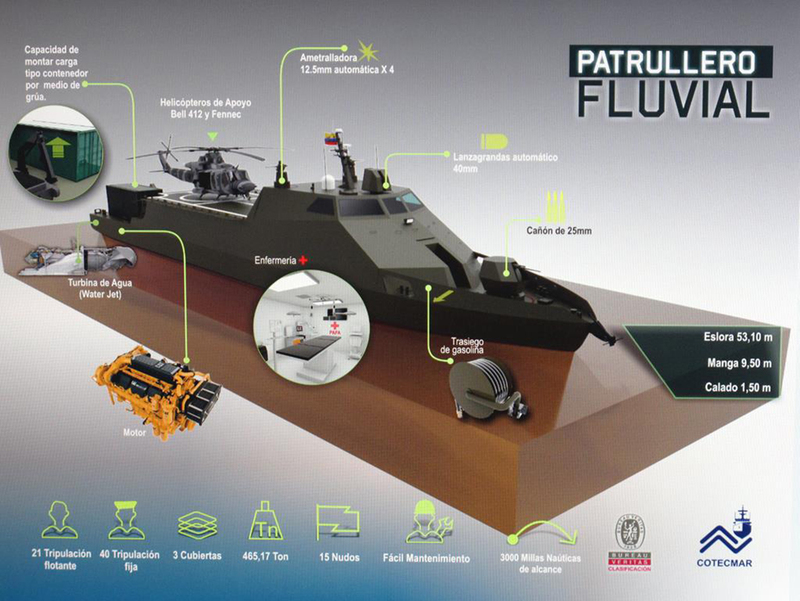 The OPV MkII will be fitted with a data link that will allow the ship to be part of a netcentric system including all major Colombian naval assets. 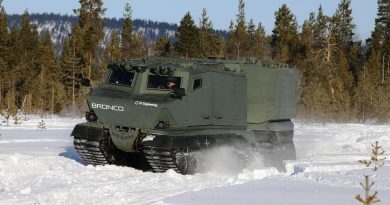 The armament will consist of a Leonardo Sistemi di Difesa 76/62 mm Compact gun, a Thor Defensa T25 RCWS armed with a 25 mm ATK M242 Bushmaster cannon, and two T12 armed with 12.7 mm machine guns, all integrated in the Barracuda combat system developed by Navy’s DARET (Departamento de Armas y Electronica de la Armada); two 7.62 mm machine guns will also be installed on the bridge. Sufficient space is available to install anti-ship missiles. A stern ramp will allow to launch and recover a RIB. With a 10,000 NM autonomy, it will be able to carry out 30-40 days patrols with a complement of 64 sailors or 20 days with a reduced crew. The other project on the screens was the latest development of the PAF-P (Patrullero de Apoyo Fluvial, riverine support patrol boat) known as Mk IV or as PAF-A, the “A” standing for “Amazonico”, the project being now carried out in cooperation with Brazil (Emgepron) and Peru (SIMA), the other two nations in which the Amazon River flows. This 465 ton patrol boat will be longer than the current Mk III, 53.1 meters versus 40.30, its water jet propulsion will allow it to reach 15 knots maximum speed, six more than the Mk III, autonomy being 3,000 NM, the double of the current boat. 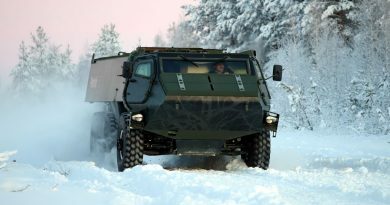 Armament will include a 25 mm cannon, an RCWS armed with a 40 mm automatic grenade launcher over the bridge , and four RCWS armed with 12.7 mm machine guns. The flight deck will be able to host an Bell-412 or a Fenenc helicopter, while a container should be loaded astern. The sick bay for the crew is also available to assist civilian population. The ship representing the main programme for the future years was not visible on any screen; the PES (Plataforma Estratégica de Superficie) will be co-designed with a foreign partner that still has to be announced, which will also provide technical assistance in the production phase. Several RfI have been issued an RfP being expected at the earliest in 2018. According to Cotecmar the new frigate should have a displacement in the range of 3,000-4,000 tons; how much the current lift limit of 3,600 tons of the Mamonal facility will impact the project has to be seen. The roadmap looks at a preliminary development in 2018, followed by the contractual development one year later, the keel of the head of class being laid in 2023 for commissioning in 2027, construction of ship n. 2 to 4 starting that same year. A second batch of four ship is foreseen, construction starting in 2030. Cotecmar is also fully involved in the development of non military products, such as floating docks to be distributed around the country to improve accessibility to villages, as well riverine towboats capable of pushing barges with the equivalent of 400-500 trucks load, a key element in a country which road system is currently quite limited. 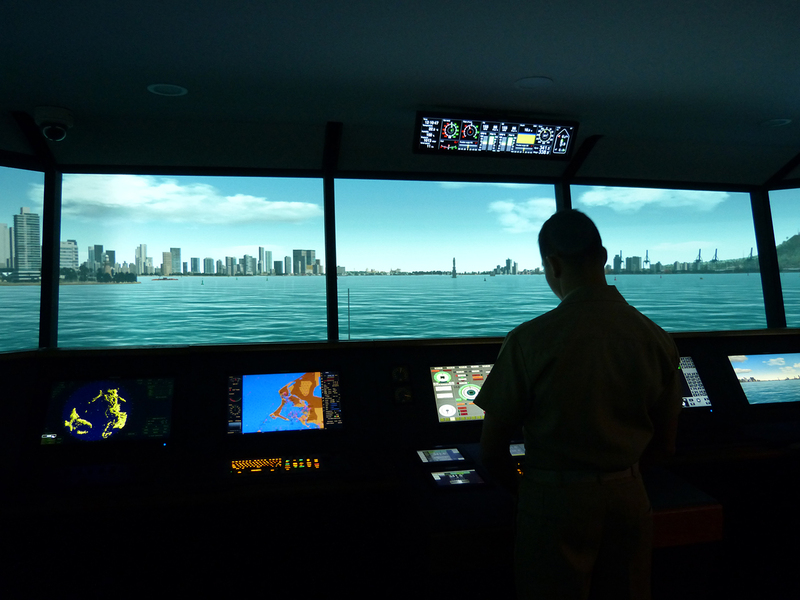 The Colombian Navy OPV bridge simulator installed at the Centro de Investigacion, Desarrollo e Innovacion para Actividades Maritimas (CIDIAM) at Naval Base ARC Bolívar (BN-1), near Cartagena has been updated with new visuals according to its director Captain John Gutierrez. The Russian TRANSAS Navi-Trainer Professional 5000 (NTRO 5000) systems was delivered the St Peterburg-based company in mid-2015. 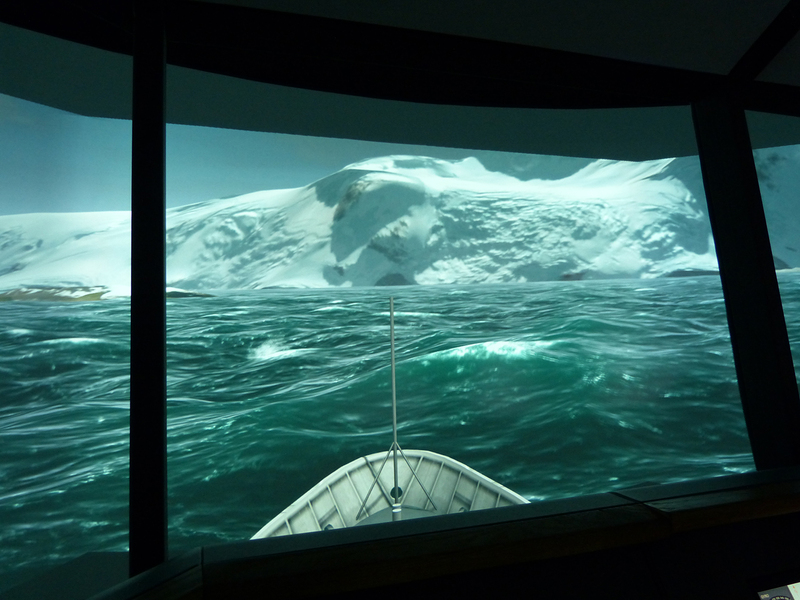 The full mission bridge simulator has a 240-horizontal field of view and is compliant with the Class A DNV Standards for Certification No 2.14 for Maritime Simulator Systems and IMO model courses 1.22 and 1.32. The database represents visual simulations of transiting the Panama Canal and Peruvian ports and has recently been updated with the port at Cartagena. Another update includes the Antarctic waters and base drawing from the Colombian Antarctic Program, when the navy’s OPV ARC 20 de Julio supported a scientific expedition to established a geopolitical presence on the continent and lay the groundwork for continued scientific investigations in the region. 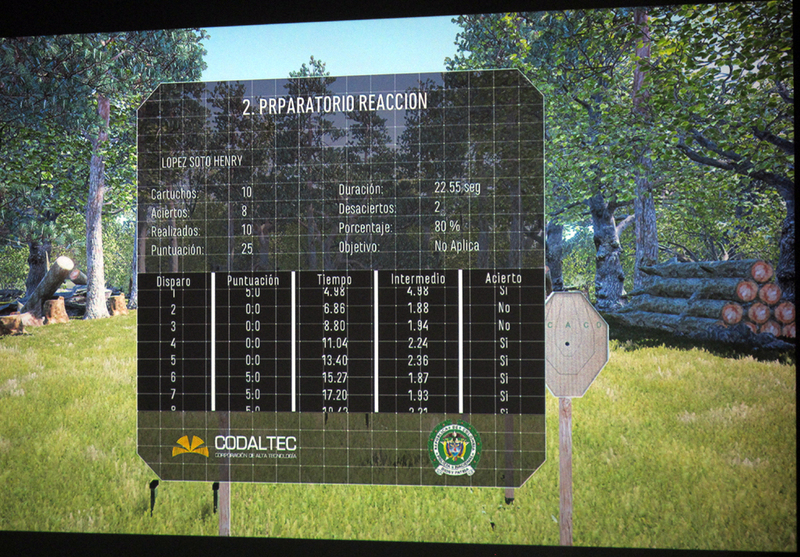 As for shooting simulation, Colombia developed its national competencies: CODALTEC (Corporación de Alta Tecnología), is active in the modelling and simulation as well as in the sensors business, and in spring 2017 installed a new a shooting simulator at the Escuela de Cadetes “General Francisco de Paua Santander”, the Policia Nacional officers academy in Bogota. Six shooting boxes are available, with screens representing various scenes that go from simple targets, used for basic training aiming at teaching the cadets how to handle the pistol during the shooting, to reaction scenes, with shoot/no shoot situations, to scenarios designed to improve accuracy. Two weapons are available, the SIG Pro, or SIG Sauer SP2022, acquired in 2006 by the Colombian Police, and the Galil assault rifle, manufactured as we mentioned before by Indumil under license. Reduction of risks, of time employed to reach capacities, and that of costs, estimated at 75%, are the criteria that led to the installation of the simulator. The cadets that were training during the visit were part of one of the first companies of cadets that used the system, as the had joined the academy three months before, and they did most of the weapons training in the simulator, instructors being very satisfied of the results obtained. In cooperation with the Police instructors, CODALTEC was developing new scenarios in order to further enhance the simulator effectiveness.